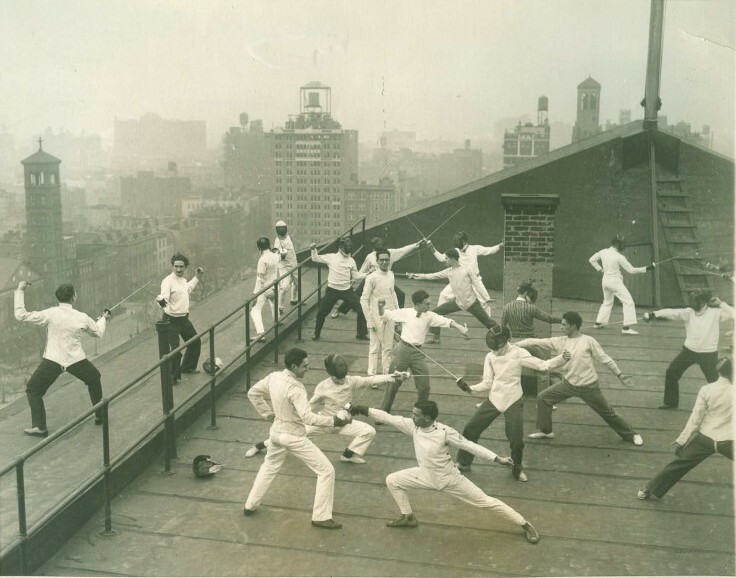 An unusual fencing class in New York City in the 1920s. We do not recommend training on rooftops (especially like the gentlemen on the left)! CGSF emphasizes a curriculum grounded in the traditional French school of fencing. The French classical school revolved around two primary implements: the foil (fleuret), which developed historically as a training weapon for learning the art of fencing, and the dueling sword (epée de combat, or often referred to simply as the epée), which was the actual weapon used on the dueling ground. In addition to these two weapons, we also teach fencing with the small-sword (or court sword). This ancestor of the two classical weapons was the primary arm 0f 17th and 18th century French nobility. Its use spread throughout much of Europe and the Americas (this was the primary side-arm of George Washington, for example). Following the classical tradition, students in our curriculum begin their fencing lessons with the French foil in order to learn the fundamental principles of the art and science of fencing. Once students have a solid foundation in the use of this weapon, they are able to expand to include the dueling sword, small-sword, and other weapons of classical and historical fencing. Students interested in Italian weapons should inquire. Our classes / lessons focus on fencing as a traditional martial art. Fencing classes are currently held at the Vineyards Community Park Rec Center in Naples (near Vanderbilt Beach Blvd. and I-75). Our next 2019 sessions begin February 11 (4 weeks), and March 11 (4 weeks). To register, contact Vineyards Park at (239) 353-9669. For more information, please contact Instructor Hogg using the form on the “Contact Us” page. 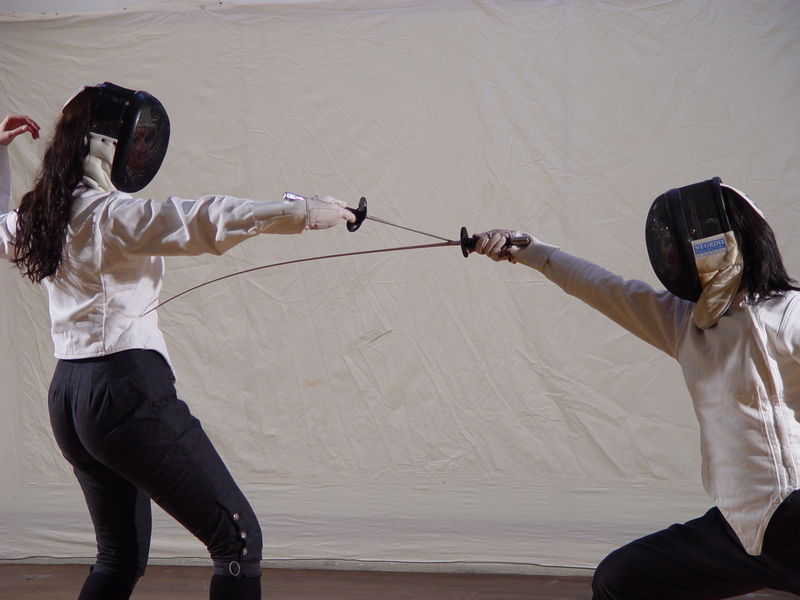 If you are interested in 1-hour individual fencing lessons, please use the same form for the fee schedule and availability. Private lessons can be taken in any of the weapon styles we teach. Come learn this traditional martial art with us in Naples, FL!